Hi! I'm Kelsea, the blogger over at Pink Wonderland. First, I want to say thank you so much to Susie for the opportunity to guest post today. 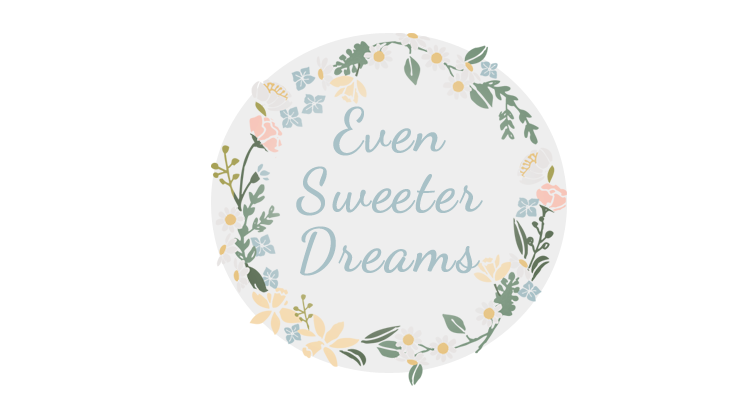 Susie is one of the sweetest bloggers around, and I love visiting Even Sweeter Dreams for inspiration! Plus, I am in love with that dreamy background/banner. For those of you who haven't heard of Pink Wonderland, it's a relatively new blog that I created to share a few of my interests and promote some of the amazing talent I come across in the world of independent artists and small businesses. If you choose to visit, expect to find plenty of bright colors, handmade goods, food, artwork, outfits, and artist interviews. Today, I want to share a little repurposing project with all of you. I have always been a bit of a hoarder - I love collecting things, and I have a hard time parting with anything pretty, whether it's cool packaging, a cute thank you card from an indie shop, stickers, pieces of colorful tissue paper from gifts, even well-designed business cards... I just hate throwing pretty things away. I also love storage. I do tons of crafts and I am constantly reorganizing my supply stash. The combination of these two qualities means my stack of supplies is constantly growing, as is the cost of housing it. I used to keep some supplies in plain shoe boxes with a description scrawled on in Sharpie, but I always disliked the look. Hated hiding my supplies away just because I didn't like the box. So one day, I thought... why not decorate them? Those little bits and pieces I had saved up finally had a use. For my mixed media supply box, I glued on a jelly bean scrapbook paper page as the background. I cut out the packaging from a dried fruit snack box and stuck it on my new mixed media box. Added a postcard from my favorite cupcake shop and some stickers, tissue paper, and other bits. I also decorated shoeboxes to house the inventory from my jewelry shops. In addition to decorating each box to match the style of the relevant shop, I stuck on business cards to make it really easy to identify which was which. For tissue paper organization, it seemed easiest to group them by color. What better way to explain which color is inside the box than to add some to the top? I have plenty more of these decorated boxes at home - once you start the first box, it gets to be pretty addicting! Fun project and a great way to reuse those little leftover scraps you just can't bear to toss. At least that's how it goes in my world. =) If you decide to decorate any boxes of your own, please share them with me! I would love to see how they turn out. Thanks again to Susie for having me on the blog today. I hope to see some of you in Wonderland! Thank you Kelsea for this wonderful post! 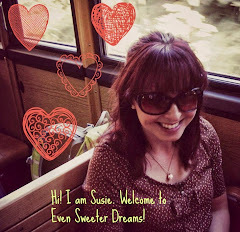 I hope you will all take a look at her great blog Pink in Wonderland. Kelsea is an awesome blogger and a very creative girl, I am sure you will love her as much as I do!